Ardbeg Uigeadail is my new favorite whisky. For the uninitiated, it's pronounced "Ooo-ga-dal," and by the way, did I mention that it's my favorite whisky? The distillery: Ardbeg has won Whisky of the Year something like 4 of the last 7 years (Uigeadail won World Whisky of the Year in 2009). The distillery is located on Islay, a place that is definitely on my bucket list. So Ardbeg... watch out! I'm coming for you! I came across this bottle for a steal, and unfortunately, I think it was on sale because it was the last one in stock. So if you see a bottle near you, just buy it. You won't regret it. The nose: Chocolate, caramels, dates, sherry, leather, linseed oil, honey, anise, tobacco. The taste: Sweet, fruitcake, smoky barbecue, olives, moist pipe tobacco. I walked to Puget Sound one night with my dogs and a pipe full of rich tobacco. The chill wind carried the strong smell of the sea, I tasted it with dry lips, drew its sustenance into my hungry nose. Where tobacco and brine met, I found An Oa. 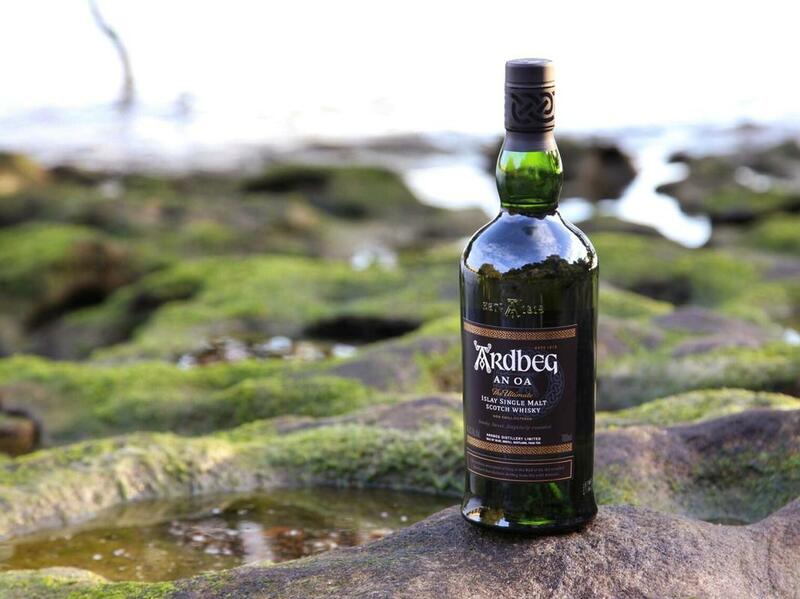 ​An Oa is a balanced, round addition to the Ardbeg lineup. Where other single malts like the Uigeadail offer more complexity and refinement, An Oa (pronounced "an oh") is smooth and smoky, with just a hint of clove, anise, and a butterscotch finish, if you can wait that long between drams. 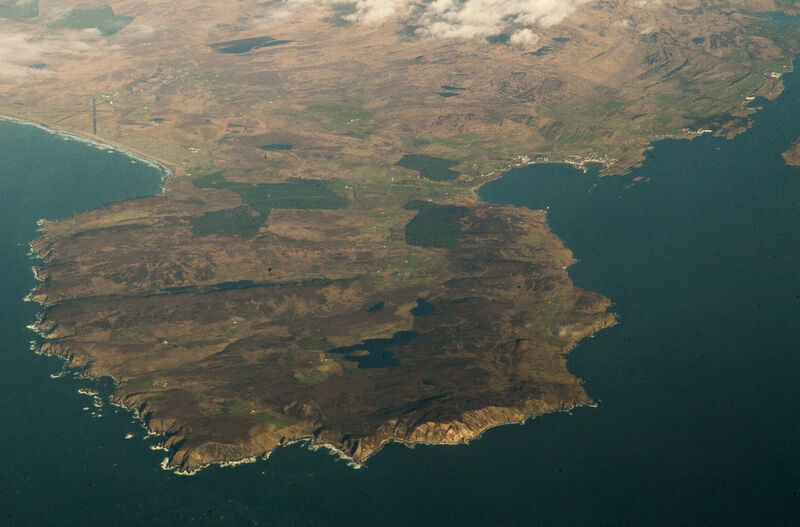 Ardbeg distillery is located on the south shore of Islay, and An Oh is named after a rocky peninsula that protects the island from the stormy seas, reflected in the shape of the scotch. An Oa is a good whisky, maybe even a great whisky if you prefer balance to complexity. It has the right amount of peat, without being too much, and has enough refinement to please even the most sensitive palates. Wine isn't as cheap in Washington state as it was in California, so I've been scraping the bottom of the barrel a little recently. Thankfully, Trader Joe's, although about a dollar more expensive in the Pacific Northwest, continues to come through with the best deals on wine. Tonight on our way home from the climbing gym, we stopped by TJ's and picked up a bottle of Agoston's Granache/Syrah blend. This is a wine I had never had before, but there are some Spanish wines that I really like, so I decided to give it a try, seeing that it only cost about $5. Agoston is a happy surprise. With a smoky, fruity nose, and a slightly rubbery flavor (perhaps a sign that this particular bottle is too young? ), I will be buying this again, perhaps to pair with some Queso Manchego. ​So, I'm in Shanghai in August. That was my first mistake. Every time I step outside all of the fabric adorning my body instantly adheres to my skin, forming an unwanted friendship that hangs around for the rest of the day. There's no escape indoors, because apparently, turning on the a/c in any meaningful way is "bad for your health," or probably more likely, bad for the bottom line of the establishment, so any hope of temporary respite comes in the form of either food (I've consumed a year's worth of ice cream in the week that I've been here), or drink. Granted, that's nothing to brag about. Name a country where you can't find cold beer when you need one. I've been on indigenous land in an impoverished area of Panama and found entrepreneurs selling ice cold Atlas lager to the rare motorist who passes. And at fifty cents a crack, Cambodia brand beer is cheaper than water in, well, Cambodia (what did you expect?). Mexico may be the land of margaritas, but it's also the home of Corona, Tecate, Pacifica, and too many others to name. So having ice cold beer available is only par for the course, but it's still nice. Especially when you can get a 22oz bottle for 5.5 yuan (pronounced like "U.N."), or about $.88 in USD. But let's talk about what you get for your money. That's what you're here for right? A beer review. So let's go! I've tried Tsingtao, Harbin and Tsingtao stout, and the stout is by far my favorite, but to be honest, all three are hard to digest. For me (and you? Leave a comment), sometimes drinking cheap beer, in particular, cheap lagers, leaves me feeling gross, like I'm not digesting well. Gross, right? It may be because many Chinese beers have departed from traditional German Reinheitsgebot law (which stipulated the only ingredients could be water, barley and hopes) and include rice, a less-expensive grain in the recipe. -Tsingtao was founded by an Hong Kong based English-German joint stock company in 1903. Capital was put up in Mexican silver dollars. It was later sold to the Japanese, and after Japan’s defeat in WW2, was turned over to the Chinese. Since then, it has been affiliated with companies like Anhauser-Busch and Asahi. -Harbin is owned by Anheuser-Busch Inbev, which is responsible for bringing the beer to liquor stores near you. Harbin is the oldest brewery in China and was founded by a Polish German immigrant in 1900 who wanted to make beer for the Russian railway workers building the Trans-Manchurian Railway. In 1946 the Soviet Red Army captured Manchuria and took over the brewery until 1950, when Stalin returned all Chinese assets to China. During a famine in the late 1950s, Harbin then became the first beer to be brewed with corn instead of rice (because in a famine, you still need beer!). -Snow beer is the noob on the scene, exploding onto the market in 1993 to become the biggest producer of beer in China. Update: On my last night in Shanghai I found myself taking back streets, walking with crowds of working class locals under dripping bamboo scaffolds, dodging scooters and bicycles, wandering aimlessly. Seeing a small grocery store, I entered, and found the holy grail of Chinese beer: Snow. It was only 3 yuan for a 22oz bottle, and maybe that’s why it tasted so great, but I loved it. It was something between a Corona and a TJ’s knock-off of Corona. Ah, Maker's Mark. What more can I say? 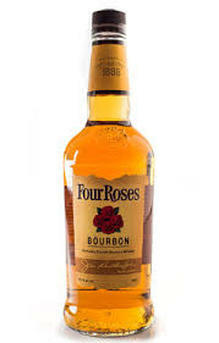 You were one of the first bourbons I ever had. The first of many to be paired with a cigar and gently cradled in an icy glass on an old porch overlooking the lake. And you quickly became a go-to sipper whenever you went on sale. But now... I think you've been replaced. Not to worry though. I'm staying in the family. In fact, my new favorite corn whisky is your (barely) older brother. Maker's 46, despite it's steep price hike when compared to Maker's Mark ($47.99 vs. $24.99), is nothing more than their standard whisky aged for a few extra weeks with seared french oak staves. These staves add to the smooth, vanilla flavors of the whisky, and the searing caramelizes the sugars in the wood, increasing the sweetness and removing all trace of bitterness. 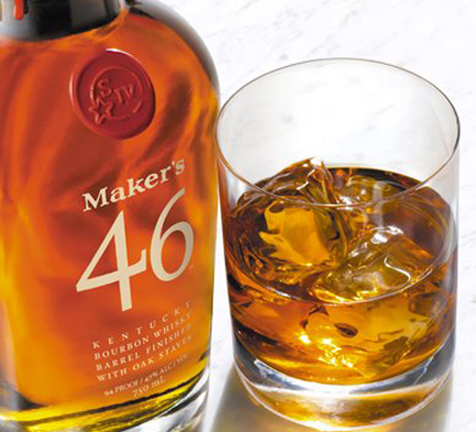 Makers 46 is only made in winter, as the cooler temperatures slow the aging process and allow the flavors instilled from the seared French staves to intensify. There's no such thing as a bad tripel, that's just a fact of life. So when I saw Left Coast Brewing Company's Asylum Tripel at P.F. Chang's on an outing with some of my fellow MBA students, there was no question as to what I would order. It didn't matter that I had never heard of this brewery before. A tripel, if you don't already know, refers to a strong pale ale, typically made with a yeast that originates in Belgium, and up to three times the normal amount of malt. For those more familiar with the darker Belgian dubbel's or quad's, you may be in for a surprise when you see the light colored liquid pouring into your glass. The tripel is in a family all its own. 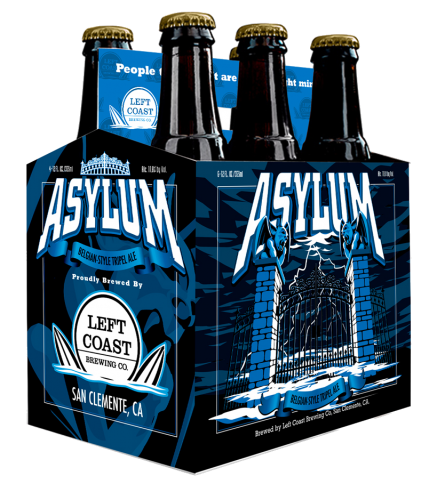 Left Coast Brewing Company produces six regular brews, including Asylum, and four seasonals. They began brewing in 2004, and seem to be growing at a steady pace (not surprising after tasting this delicious tripel). If you ever happen to be in San Clemente on a Tuesday or Sunday, be sure to check out their Bend and Brew Yoga series in the park. Asylum Tripel is an explosion of fruits and spices with a thirst-quenching creamy head that I can't recommend enough. 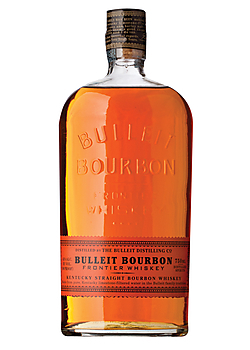 "How can a $10 whiskey be this good?" That was my first thought upon taking a sip of this golden nectar, which was quickly followed by a second: "Why have I never tried this before?" Dipping below $17 with any liquor is always a little questionable, whether it's whiskey, vodka, tequila or something else, but occasionally you find a gem. 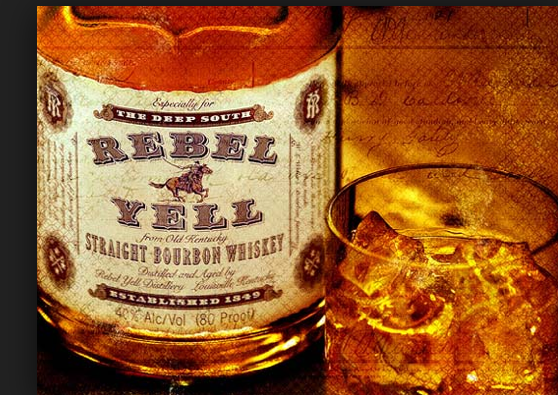 And Rebel Yell bourbon is in that category. I picked up the 2012 Double Decker Red Blend on sale. It was one of those "Buy any 6 bottles, get 30% off" deals (which I highly recommend), plus I had a coupon. The bottle is gone now, but I'll be trying the Red Blend again next time it goes on sale. Why? There are some wines that overwhelm the senses with full-bodied complexity, each sip leaving a new sensation to linger on the tongue, mingling with memories of past delights. The Double Decker Red Blend doesn't quite reach those levels of subtlety. I'd say it's a solid, full-bodied red, but too simple for the ten dollar price tag. Where's the nuance? Where's the complexity? It left me thinking, "Nothing to complain about... but nothing to brag about either." Oddly enough, that's why I'll be trying this red again. See, every wine deserves a second chance. Someone has poured their imagination and skill into that bottle, done their best to create a product that will help you slow down and enjoy life. And so many factors can influence how we appreciate a bottle. -Have you prejudged the value based on the label? -Was the wine too warm, or too cold? -Did something you just ate leave residual flavor in your mouth? I could go on. But the point is, every wine deserves a second chance. 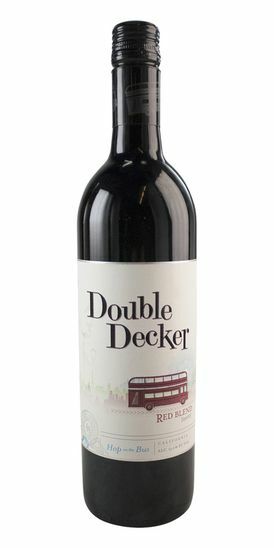 I think there's more to the Double Decker Red Blend than I first sensed, and I'm not ready to give up on it quite yet. Double Decker wines come from the Wente Winery in the Livermore Valley, just east of San Francisco (another reason to give this red a second shot. These people know how to make good wine). Wente boasts of being the oldest continuously-operating, family owned winery in the U.S. Their premier labels include handcrafted, small lot wines available only to wine club members. So what's in the Red Blend? Cabernet Sauvignon, Petite Sirah, and Barbera. Barbera lends the fruit-forward elements to the mix, while the Cab offers dry tannins and the Sirah rounds it out with darker berry flavors. Nose: Dry, like a Cabernet with some extra sweetness. Hints of fruit at the top of the nose. Taste: Dry, straightforward red with a touch of strawberries. Recommendation: If you're intrigued and want to give this bottle a taste, I won't discourage you. Try pairing it with something savory, like a barbecue chicken pizza, or some barbecued ribs. You might not love it, but I guarantee you won't hate it! "What?! A screw cap?" This is not the time to be a snob. Screw caps are perfect for picnics and traveling- anytime you are likely to forget your corkscrew. Onil Chibas has a gregarious laugh. We used to work together catering parties for Pasadena's elites (he was the chef-owner of Elements Kitchen and Catering, and I worked for him). I can say without a doubt that in the fast-paced catering world of tight deadlines, over-stressed wedding planners, and creative competition, you won't find a kinder, more genuine person. Recently we met at The Market on Holly, an American Fusion Restaurant tucked away on a side-street among the quaint brick buildings, hip cafes and European bistros of Old Town Pasadena. Over an extended brunch of farm fresh omelets and bold, black coffee, we talked food, wine and the mysteries of life. Throughout our two hour meal his laugh cut through the clatter of dishes, the staccato sizzle of frying butter, and the boisterous conversations of other guests. You can't spend time with Onil Chibas without feeling better about life. O: Absolutely. that's a terrific question. I think for me it's a lot of different things. Certainly it's fuel. But I think that when it is fuel, when it's at its basic, it should be tasty. Food is love. I also then think it's a time for people to come together. We didn't say, "Let's just go talk at the park." I mean we could have, "Let's meet at x place." But we said, "Let's meet, let's have coffee, let's get lunch or breakfast or whatever." So food plays a very unique role. It's the one thing that everybody does, from ISIS to the Pope. And every culture has some sort of ritual with food involved in it.